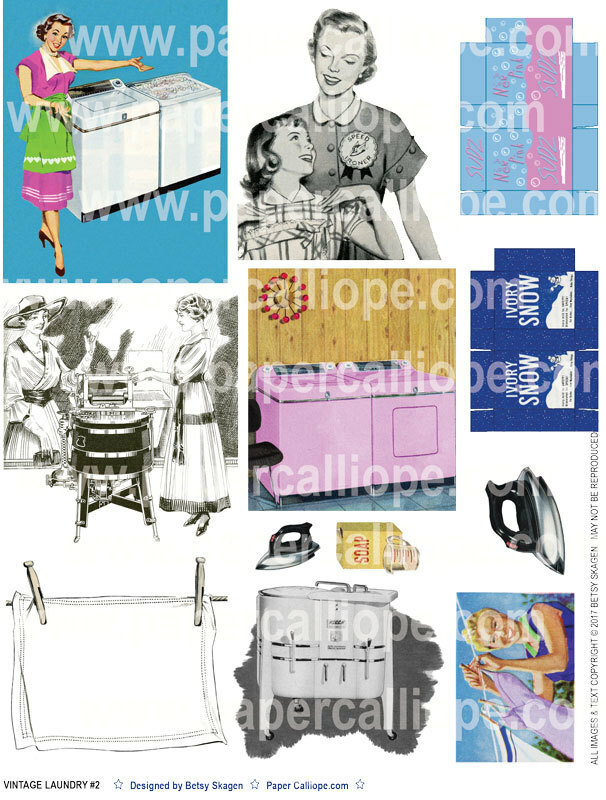 Fantastic retro vintage collage paper - laundry, household, happy homemaker - digital images for scrapbooking, collage, mixed media, altered art and more. Bring your card and craft projects to a whole new level with these fun mid-century style images. Purchasing ​these high resolution PDFs triggers an email with a a secure link where you can download your files. For your security, the unique link will expire 7 days after the product is purchased. The images are designed to be cut out from the sheet for use. The product you receive will not have the watermarks you see in the product image. The files are supplied as a PDF, so you will require a PDF reader of some kind to view them. You get the file to keep and download, and can print and use it as many times as you like. Just remember, only you are given rights to use the digital file. Please do not share or sell digital or printed copies with anyone else.